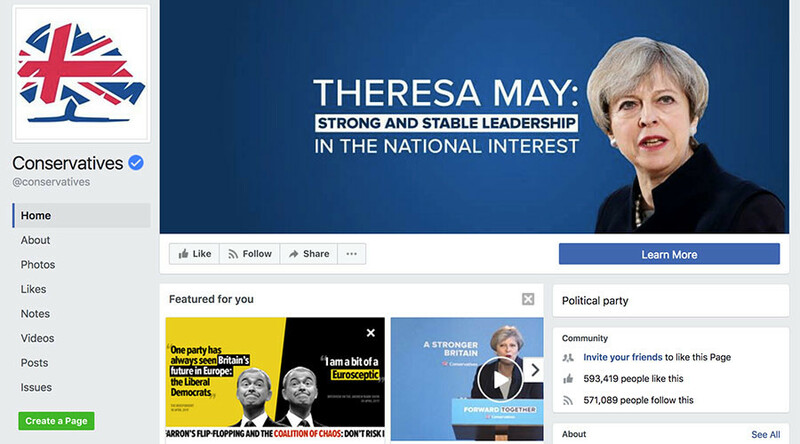 Theresa May’s Tories are flooding Facebook users living in marginal constituencies with “dark ads” designed to draw away the Labour faithful using an election loophole that allows parties to target voters online with very little regulatory oversight. Online advertising is not covered by election campaign rules stipulating how much money parties can spend in each constituency and requiring parties to submit detailed accounts of their expenditures. While political TV advertising is illegal in Britain, showing videos online through paid advertising is not. The Electoral Commission estimates that more than 99 percent of advertising on social media was spent through Facebook in the last general election, when Conservatives spent £1.21 million, Labour £160,000, UKIP £91,000, the Liberal Democrats £22,245, the Green Party £20,000, and the Scottish National Party (SNP) £5,466. “We are continually developing our understanding in this area, including through live monitoring of activity,” the commission told The Register. “We will report after the election on campaign spending, and on what changes to the regulatory regime may need to be made for future polls,” it added. Consequently, the election is being fought partly through targeted online advertising, with little oversight of what message parties are sending to voters, or how much advertising people are being exposed to. The Tories have refused to supply the media with examples of adverts the party is sending to individual voters on Facebook. 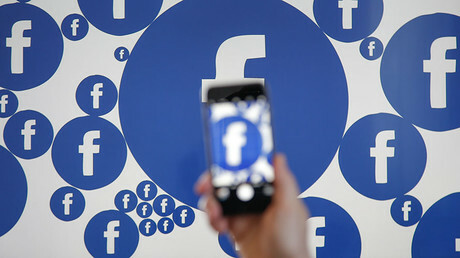 Carl Miller, research director at think-tank Demos, says targeted online adverts are leading to a “massive splintering of message,” with people seeing ads tailored to their locations or other personal information. Some ads are often only seen by the people targeted. The Tories are paying for a number of adverts that attack Labour leader Jeremy Corbyn or his close allies, including John McDonnell and Diane Abbott. They broadcast a broadly negative message, warning people about threats they allege a Corbyn-led government could pose. One Tory Facebook ad shows a brief clip showing Labour leader Jeremy Corbyn calling for NATO to be closed down, and another praising Costa Rica for abolishing its army. Conservative ads focus on policy themes such as Brexit, taxation, and national security, all containing the common message that it would be too “risky” to entrust Labour with governing. According to the BBC, which is investigating “dark advertising,” anti-Corbyn ads almost exclusively target individuals whose Facebook “likes” identify them as on the left of the political spectrum.